OK I promise not to bore you anymore with this stamp set, but I can't help myself. 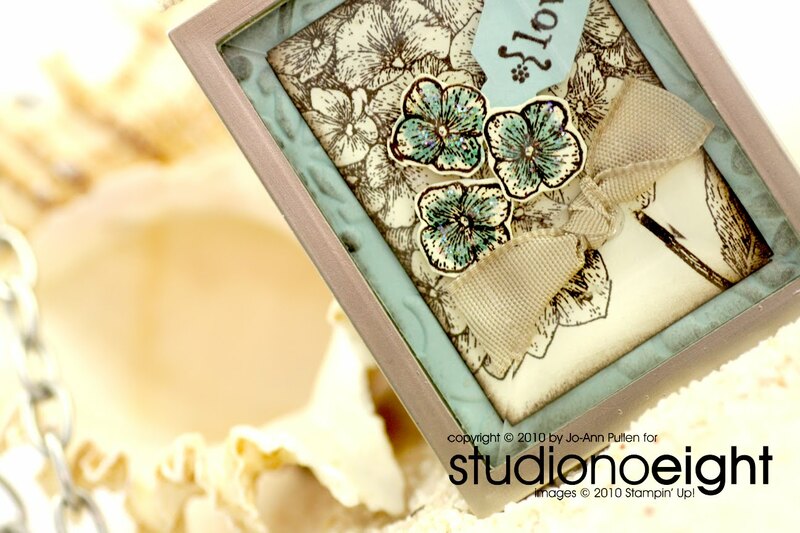 Here is a piece I did for the Simply Adorned Jewelry. 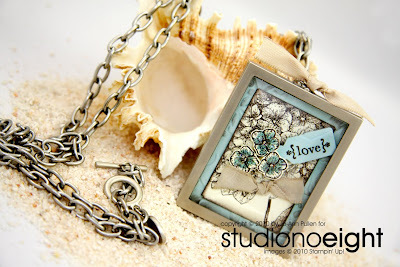 I used the 1 1/2" w x 2" h Beveled Glass Front Simply Adorned Charm and the 34" Simply Adorned Chain for this project. 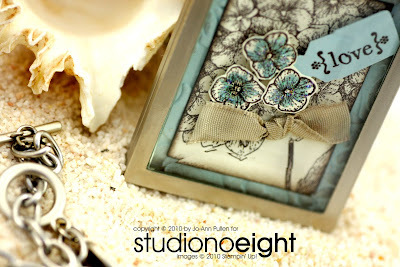 Accessories: Textured Impressions Vintage Wallpaper, Stampin' Dimensional, Kraft 3/8 Taffeta Ribbon, 1 1/2" w x 2" h Beveled Glass Front Simply Adorned Charm and the 34" Simply Adorned Chain. Wow, that just looks so perfect! I absolutely LOVE it Jo-Ann! I don't think anyone could find your use of this stamp set "boring". Your work is gorgeous! I just bought my first charm and now will be casing your insert. Love it! Thank you so much for sharing your work. I want one of these, simply gorgeous Jo-Ann as always... You are so creative!